Stay organized and ready to go at any moment with the Wallaroo's convenient pockets and pouches. Our stylish diaper bag is designed to be an ideal size for both day trips and travelling, and its beautiful design makes it great for any occasion. 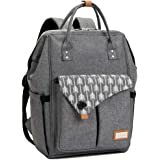 The Wallaroo diaper bag is designed for both function and fashion. 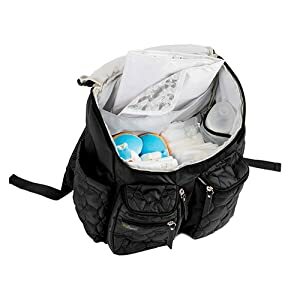 Made of soft and durable quilted nylon fabric, this baby bag is easy to clean and wipe down both inside and out so accidental spills and messes aren't a problem. High tensile nylon stitching makes it a durable and long-lasting bag that you'll have for years to come. 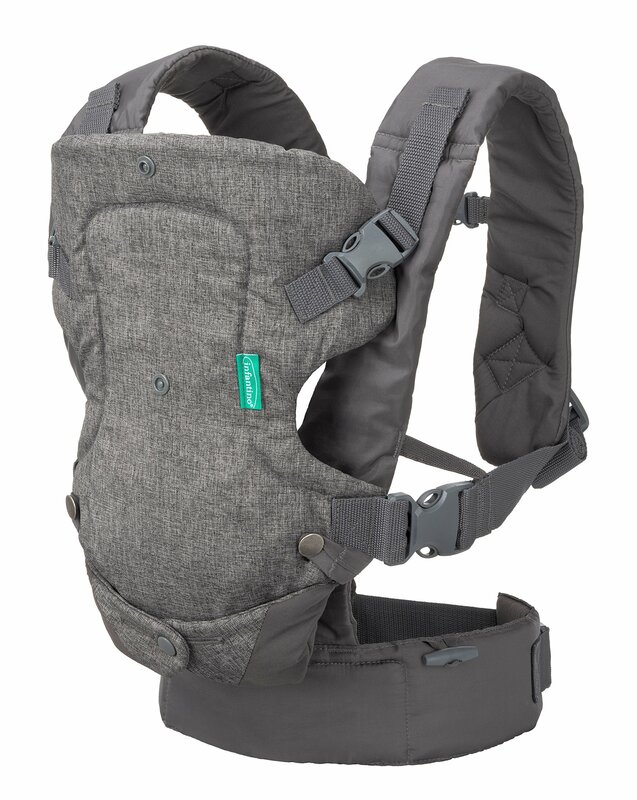 Padded shoulder straps make it comfortable to carry long distances and are adjustable to ensure you're getting a supportive and ergonomic fit. 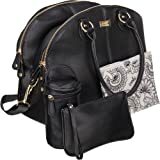 The diaper bag is available in a medium and a large size so you can choose the ideal one for your busy lifestyle. 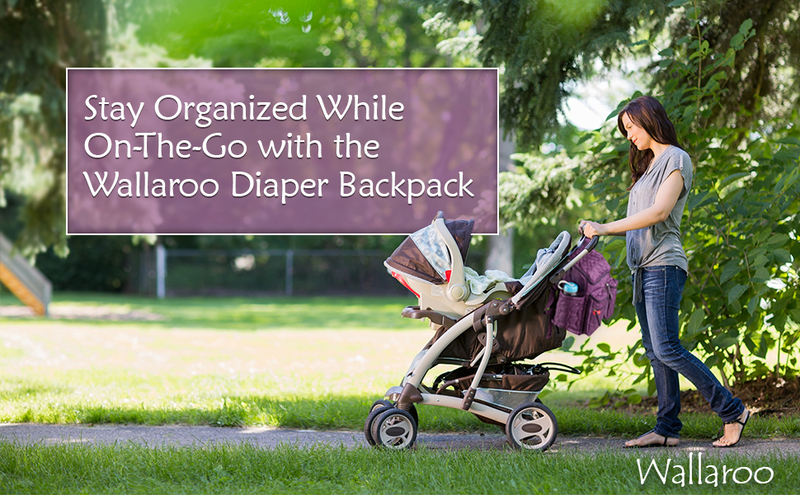 The Wallaroo is designed to keep your most important baby items within reach at any time so you can find the items you're looking for quickly. 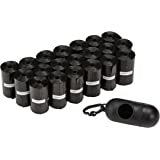 Two insulated front cargo pockets are great for storing food, while the two side water bottle pouches are great for both mom and baby drinking bottles. A quick-access cell phone pouch in front ensures your phone is always accessible for convenience and emergencies. Inside our backpack bag you'll find two elastic mesh pouches and a large nylon pocket that's ideal for baby's change pad, extra clothing or even a tablet or laptop (up to 15"). 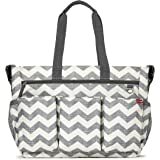 Packed with perfectly-designed pockets, this baby diaper bag is great for busy moms who like to stay organized while on the go. 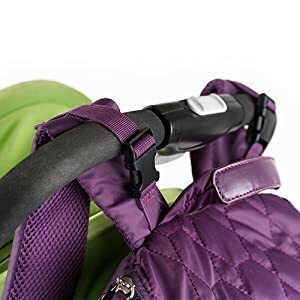 When you're on the go with the Wallaroo diaper bag, the handy stroller straps provide a convenient and safe way to give your back a break. 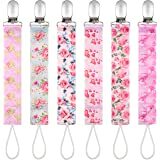 The straps easily clip onto almost any stroller handle with durable plastic clips. 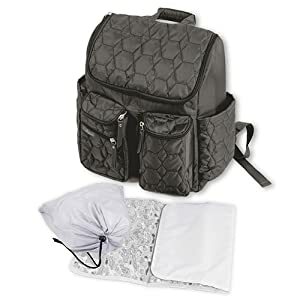 Our baby diaper bag includes a portable changing pad for diaper changes on the go and a wet bag that can be used for wet diapers while protecting the inside of your bag. The interior change pad pocket makes a perfect place to store them. This stylish diaper bag gives every mom the designer look she deserves. 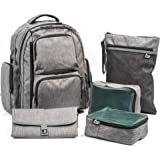 With five color options to choose from, the Wallaroo features a beautiful quilted fabric, color-matched zipper and zipper pulls, and a beautiful light gray-colored easy-to-clean interior. 5.0 out of 5 starsVery good product!! 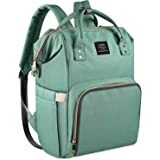 I loved this diaper bag! 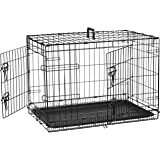 It's large and it has many compartments that helps you to put everything in the right place. Very good size and material. I also loved the color. 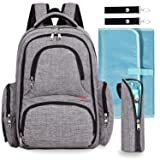 5.0 out of 5 starsYou don't need a baby to love this backpack! I don't have a baby but I love this bag. I'm a fitness instructor and carry music, speakers, water, towels, straps etc. 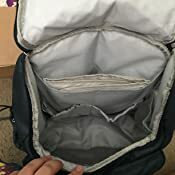 I had an open carry bag that was falling apart and decided to try this back pack. I'm super happy I did. It fits everything that was in my other bag and feels great on my back. 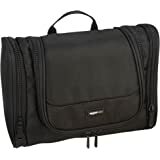 The bag seems sturdy and you can't beat the numerous pockets inside & out! It's a nice deep blue, too! Update: After several months of daily use this is the absolute best! If and when this ever wears out I will definitely buy another! 5.0 out of 5 starsAmazing amount of space in a beautiful bag! 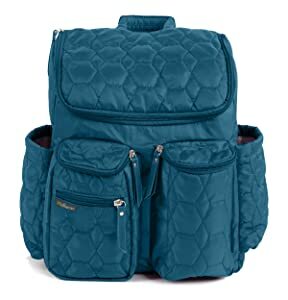 I have this bag in two colors I love it so much. 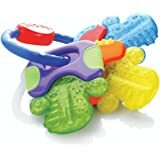 The purple was a baby shower gift and I loved it so much I bought it in blue as well!I love the stroller clips and the squarish shape makes packing very easy. The interior and exterior pockets are all amazing as well! I can reach right in without looking and always find exactly what I'm looking for with no effort. Just to give you an idea of how much can fit I'll give a low down of what I currently have in my bag. 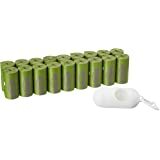 Two large insulated side drink pockets are great for carrying large bottles of water and or snacks. I have two Nuk bottles in the right front pocket and can fit multiple bags or vials of milk in the left front pocket. 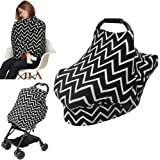 Both are insulated and zippered. The cell phone pocket is too snug for my pixel XL with it's case so I is it to store 2 packs of orbit gum. In the front mesh pocket I keep disposable doggie poop bags nursing pads and a spare binkie. Even with ALL of that I have room on top to toss my ring sling baby carrier and a spare burp cloth. 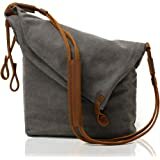 This bag is awesome!!! 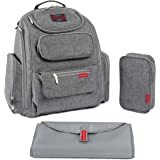 5.0 out of 5 starsGreat packpack - not just for diapers!!! 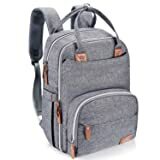 When I travel I love to use a backpack - it’s so much easier than having a purse cause it leaves your hands free and distributes weight evenly instead of just on one shoulder. Some years back I bought a Vera Bradley cause I loved the separate side zip pocket for my ipad and Kindle. I sewed a thick band of elastic inside to hold my water bottle upright and that bag has worked great for me but one of the straps has worn down and is unraveling. 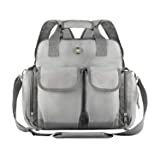 One day the Wallaroo diaper bag popped up on my Amazon site. Sure it’s a diaper bag but who cares about that! I got a beautiful solid purple color, it’s a little quilted and you can easily wipe off stains. PLUS inside there was a side pocket for a baby bottle that perfectly holds my water bottle!!! (SN: I like to store my water bottle inside instead of using outer side pockets cause the ice lasts longer that way.) And it has so many pockets including a big one for my iPad and Kindle!!! 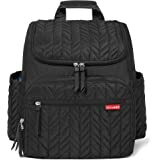 I can’t wait to take my new backpack on our next trip. 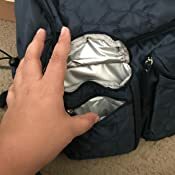 It’s lightweight, super deep and holds a lot - I can throw a shrug or raincoat in there! And it comes in a lot of colors! I bought this for my daughter because she was hauling around a backpack diaper bag that was exploding with items. She actually had to caribiner the bag shut and things still were falling out. When I gave this to her, I could see that she was skeptical, but she was going to try it out so she didn’t hurt my feelings. 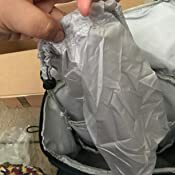 A couple of days later my phone blew up with texts from her—she was astounded that this little bag was holding and organizing what the seemingly larger backpack bag couldn’t. 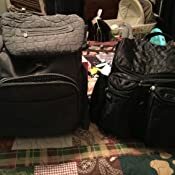 The photo shows her old bag on the left and the wallaroo on the right. This has been a great purchase! I originally purchased the medium bag, but realized that I had messed up and returned it for this large bag. the medium was LOTS smaller. 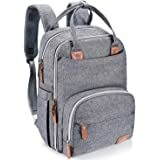 I really super like this backpack. 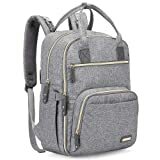 I am new to using backpacks and recently bought the Wallaroo Diaper Backpack size medium in Grey. I would have bought the large the first time around, but didn't know there were two sizes until I already received it. Both are wonderful items. 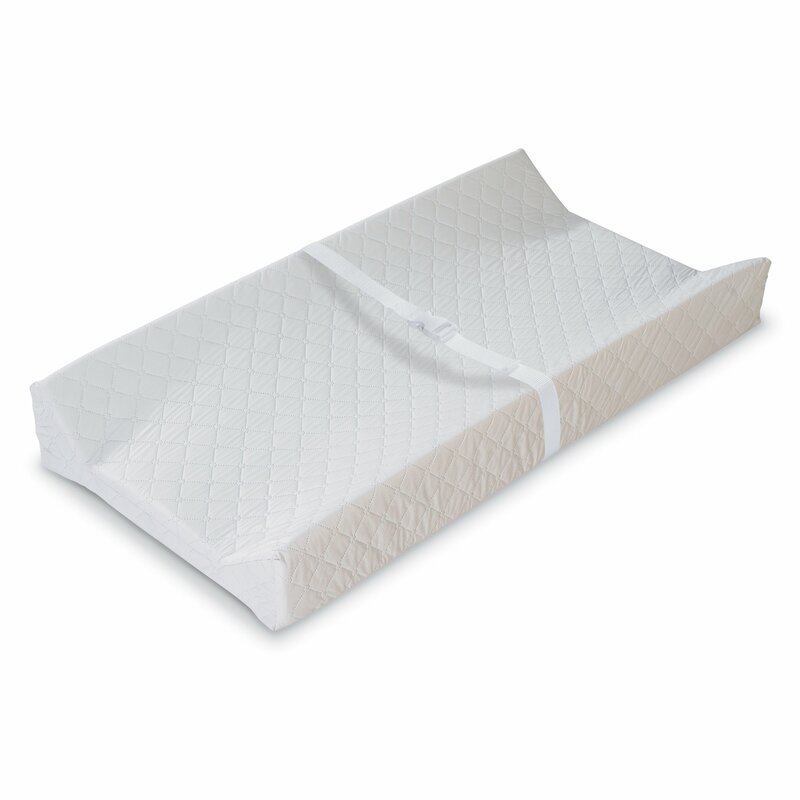 They are made of soft pretty fabric, are finished well and are roomy. The many pockets are generously sized and hold a lot. 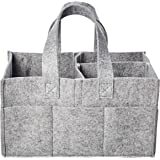 The bags boxy shape and front sloping design allow the user to have a clear view inside to add or remove items. 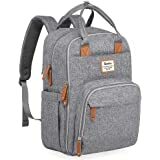 I have no kids but I purchased these bags because I wanted to try out a backpack and didn't want or need one of those silly mini backpacks that young girls use, nor did I want one like students carry their school books in. The pretty colors and quilted fabric mimic the look of some of my purses and totes that I have. They both can carry all my daily needs such as wallet, keys, hat, umbrella, 10 Inch tablet, eyeglasses, medication, books, drinks, snacks and more. I particularly like the Large size because the outside pouches are larger than those on the medium. I can fit all my things plus even a change of clothes. Or a lunch. 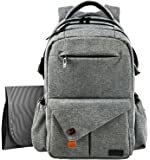 They don't look like diaper bags to me, they are just very attractive and functional backpacks. The only thing I didn't like on both the Medium and the Large is that the zipper pocket on the outside of each front pouch is not practical. The opening is too narrow to put my phone in even if I remove the case. And small items fall to the bottom and are hard to retrieve because your hand can't fit all the way in.